The new 3Flex Surface Characterization Analyzer from Micromeritics is a fully automated, three-station device that can perform highly accurate, high throughput surface area and pore size analyses with superior resolution and MicroActive data reduction. It is possible to upgrade each analysis station from mesopore to micropore with its own transducers for existing or future high-throughput needs. With its three configurable analysis stations and smaller footprint, a single 3Flex saves costs associated with the use of multiple instruments and additional bench space. Moreover, users can benefit from the significantly reduced analysis time provided by the 3Flex when compared to a single or two-station equipment. Micropore ports incorporate krypton capability for the analysis of very low surface area materials. The capability to analyze heated vapor is standard, with an optional capability of extended-range vapor analysis. The design features of the 3Flex ensure its superior performance and are the next step in surface characterization analyzers. The novel instrument is equipped with isothermal jacket technology and a new larger dewar design to provide consistent temperature control for many hours, an essential condition for micropore analyses. It also boasts data reduction features, improved software capabilities, and instrument monitoring. A novel dashboard monitors and facilitates access to maintenance scheduling information and to real-time instrument performance indicators. The built-in MicroActive for 3Flex software enables users to interactively assess evaluate isotherm data and minimize the time needed to get surface area and porosity results. It is a challenge to capture the filling of micropores at cryogenic temperatures because the filling of micropores start at very low pressures of around 10-6 torr. A single dose of gas like nitrogen may completely fill micropores like those contained in zeolites. Logarithmic isotherm overlay of 13X zeolite isotherms is shown in Figure 2. A detailed isotherm leads to a detailed pore size distribution. The 3Flex also provides a reproducible isotherm collection from station to station. The simultaneous analysis of pore size distribution of three 13X zeolite samples is shown in Figure 3. It is possible to generate and adjust calculations like the BET surface area transform plot as shown in Figure 4. Moreover it is possible to further refine the range of data used within the calculation windows. New dosing options incorporated to the pressure table enable users to modify the equilibration interval time, volume dose increment, and pressure increment between data points, as illustrated in Figure 5. It is crucial to dose gas in small quantities during a micropore analysis as there is a direct relation between the measurement of pore size and the relative pressure at which the pore is filled. Hence, it is possible to determine smaller pore sizes when lower relative pressures are achieved. The 3Flex can garner data at relative pressures down to 10-9 with N2 at 77 K with its 0.1-torr pressure transducer integrated with a high-vacuum system. Additional software options provide the capability to detect free space after analysis, thus eliminating the need to expose the sample to helium before analysis. In certain cases, it is possible to retain helium by the presence of micropores and mask a part of the isotherm gleaned at very low relative pressure. MicroActive for 3Flex software also enables users to superimpose a mercury porosimetry pore size distribution with a pore size distribution computed from gas adsorption isotherms, as shown in Figure 6. This new import function enables users to quickly observe macropore, mesopore, and micropore distributions in a single user-friendly application. Chemical adsorption or chemisorptions as it is called, can offer most of the information required to study catalytic materials in the production and design phases as well as after being used for a specific period. Data about the active surface is obtained with the chemical adsorption isotherm. 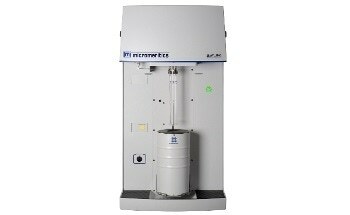 Using the chemisorptions option, the 3Flex is designed to perform chemical adsorption analyses that allows the researcher to obtain information about the physical or chemical properties of catalysts, catalyst supports, and several other materials. Sensitivity and accuracy is considerably improved for challenging analyses by a new high-temperature precision quartz cell. For chemical adsorption analysis, heated vapor can also be used as the adsorptive. With the chemisorptions capability, a 12-inlet gas manifold and vapor dosing are standard. Flow control during sample activation uses a mass flow controller (MFC) for precise and repeatable sample preparation. The MFC is included in the standard chemisorption hardware. In situ preparation and activation offer a completely automated technique that does not need user intervention and fully integrates activation and analysis into one simple-to-use application. Oxidation, reduction, purging and evacuation enable flexible pre-treatment options. Unified Analysis Conditions for physical and chemical analyses helps in rapidly developing new methods with a common interface. Manifold technology offers a very clean environment for chemisorptions and allows high-resolution isotherms to be developed for sorption on active surfaces. Reported data include crystallite size, active metal area, reversible and irreversible sorption, monolayer capacity and active metal dispersion. 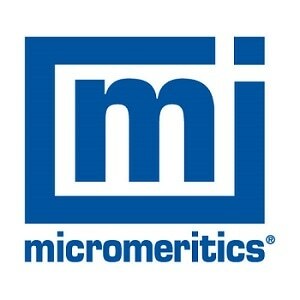 MicroActive enables direct access and manipulation of chemical adsorption isotherm data. The intuitive graphical user interface permits rapid evaluation of data to determine both reversibly and irreversibly bound adsorbed gas quantities. The calculations include meta surface area, dispersion and crystallite size.